Quote: "People don't care about what you say, they care about what you build." Like it or not, Facebook is now the front page of the internet for many. The site has expanded from its initial premise as a social network to a news channel to a video outlet - and it was all started by a 19-year-old college dropout. Mark Zuckerberg started Facebook when he was at Harvard University. Taking inspiration from the university's own intranet that listed information about everyone on campus, he set about creating a social network that was to be used within the confines of the university. He and roommate Dustin Moskovitz's site, then called TheFacebook, was such a success that they decided to expand it to other schools. This lead to Zuckerberg setting up an office in Palo Alto, getting funding from PayPal's Peter Thiel and the turning down of many a buyout from bigger companies. By 2006, Facebook had dropped its definitive article and was made available to anyone aged 13 and above. By 2008 it had 100 million users - in four years this would expand to over a billion. Such numbers bring massive profits so it was no surprise that in 2012 the company filed for an IPO which means that Zuckerberg now owns 22%of the site, with the rest run by shareholders. If that wasn't enough to keep him busy, Zuckerberg is also trying to get more people on to the web - not so they can join Facebook but so they are connected to the world around them. His internet.org initiative hopes to provide web access to 5 billion people in the world - all those who aren't currently connected. He hopes this will create jobs and enhance the 'knowledge economy'. 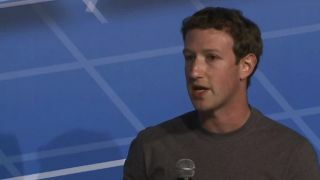 Given the success of Facebook, if anyone can bring the whole world online it will be him. Not bad for someone who is just 31.